We've been going to the Texas State Aquarium in Corpus Christi, Texas for several years now. They've gone through many changes, but we've always had a good time. There's always lots to see and do! Here's why you'll love it and why you should stop in if you're ever in Corpus Christi. 1. 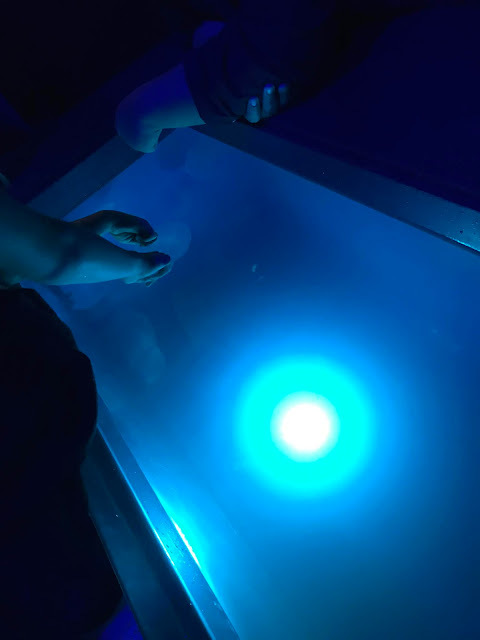 You can touch stingrays! This one popped up to say hello. 2. There are lots of fun photo ops. 3. The sharks are awesome. 4. 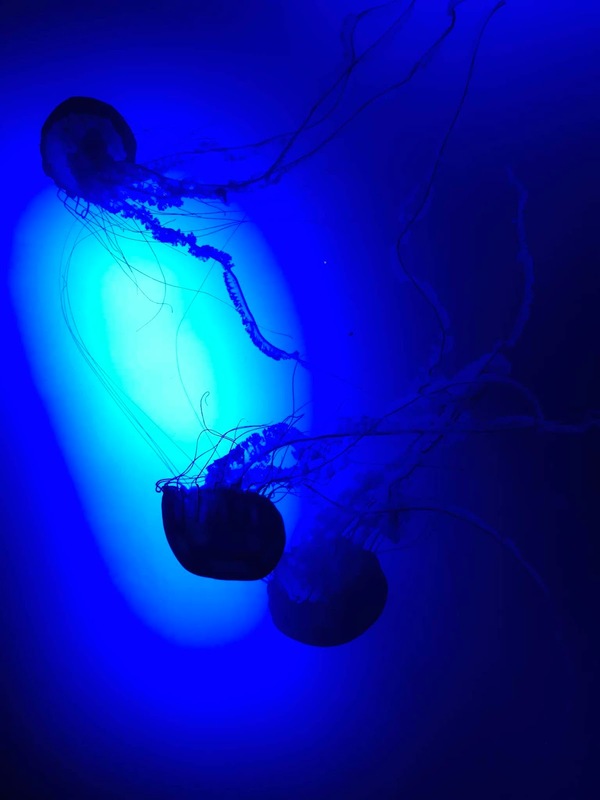 You can be mesmerized by jelly fish. My daughter also got to (safely) touch one. 5. 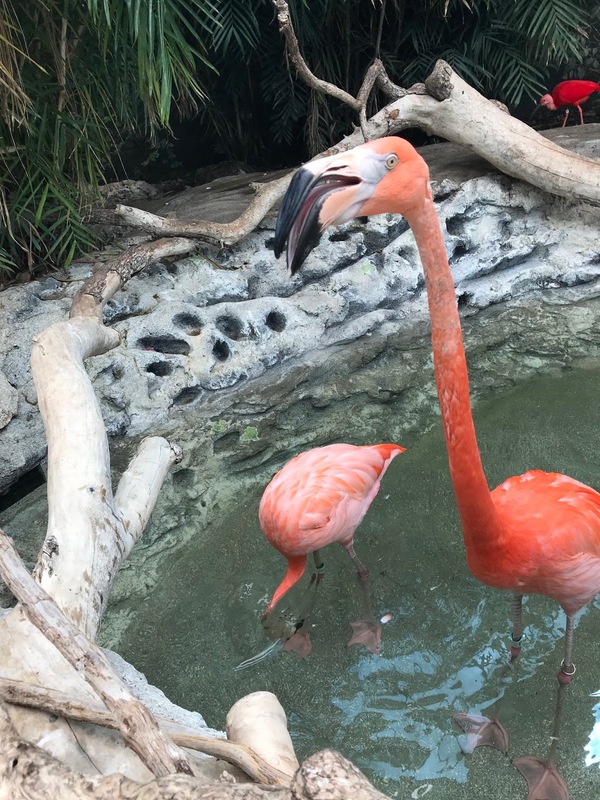 The flamingos are gorgeous and you can see them up close! This one kept talking to us. Also, the gift store is fun. Plus there are various shows throughout the day, so it's potentially a place you can spend for hours on end. 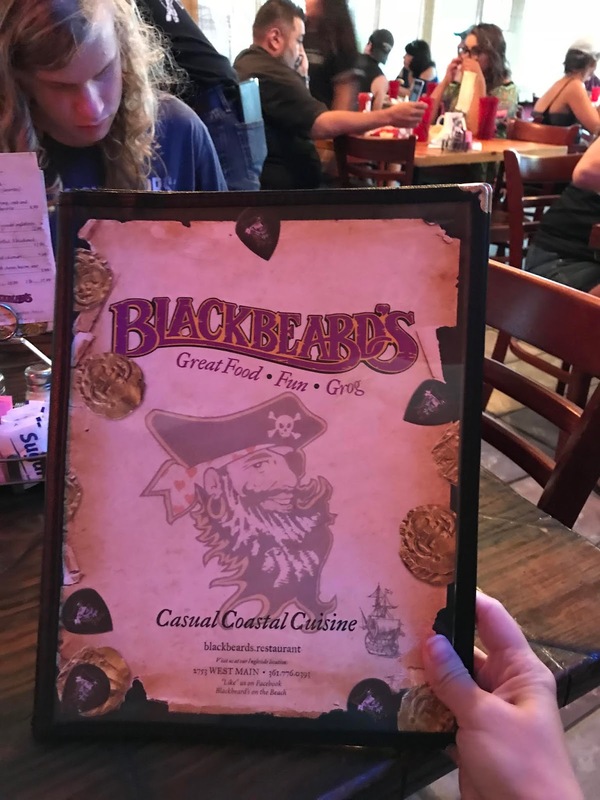 If you're looking for a place to eat after you explore the Texas State Aquarium, I recommend Blackbeards! It's nearby and the food is delicious. 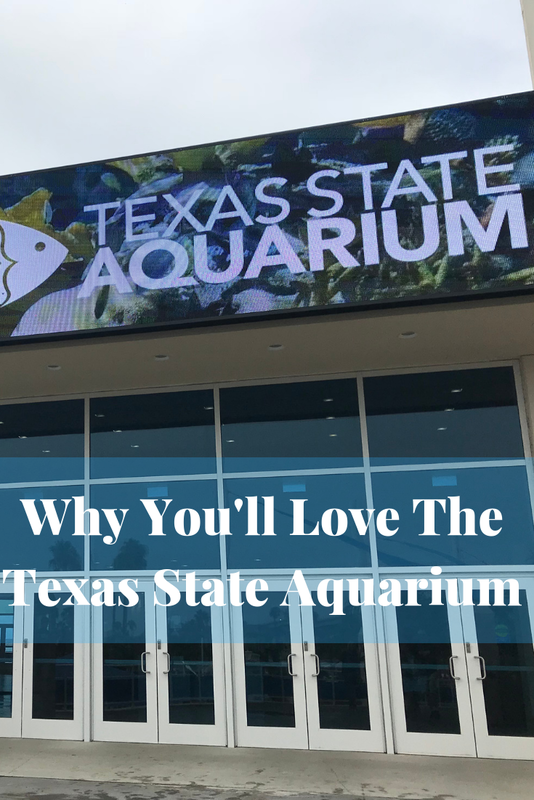 Have you ever been to the Texas State Aquarium? I always love aquarium and been to one in the States, the San Diego Seaworld aqurium where you can touch the sea animals. The flamingo in the parks are pretty cute and love their pink orange colors. I have always loved going to the aquarium and this one sounds like an amazing one. I would love to spend the day there. I love how they have thought of the social media generation and creates so many photo opportunities around the aquarium. The flamingos are simply gorgeous, it's so nice that they are so friendly. I love aquariums. I love flamingos and jelly fish (behind glass) too! I have always liked marine life. Especially I love dolphins but I love going to the aquarium and seeing all the different marine life. If I ever get down that way I will definitely check this out. This aquarium looks so great! I have always wanted to go to Texas honestly, so if we make it out there this would b e a cool place to take the kids! This looks so much bigger than our aquarium! Love how interactive everything is! Aquariums are such amazing places aren't they! It seems like the Texas state one has so many amazing things going on inside it as well. I love aquariums and this one looks amazing compared to the small one here. I need one of those crazy hats. Aquarium is such a fun place and educational to visit. We recently visited the one in Kentucky, it was beautiful. Since childhood i love aquarium. I find it all sooo cute, and sweet ofcourse it is educational too. But i feel it is cute. My family loves to visit aquariums wherever we go. 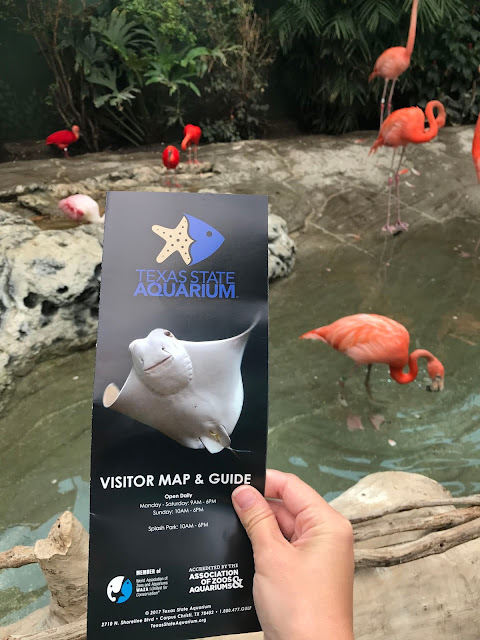 The texas aquarium looks amazing and full of great exhibits. I hope to visit one day! I love a good aquarium and this one looks fantastic. Would be so fun to go there with the kids! Aquariums are always so much fun. I find them interesting and a 'step above' the zoo because you can't always see these types of creatures and learn all about them. I'm glad you enjoyed your visit to the Texas Aquarium. Corpus Christi is a delightful little city with so many wonderful activities to enjoy. Wow it looks amazing! I love aquariums and zoo, they always make for a fun outing. 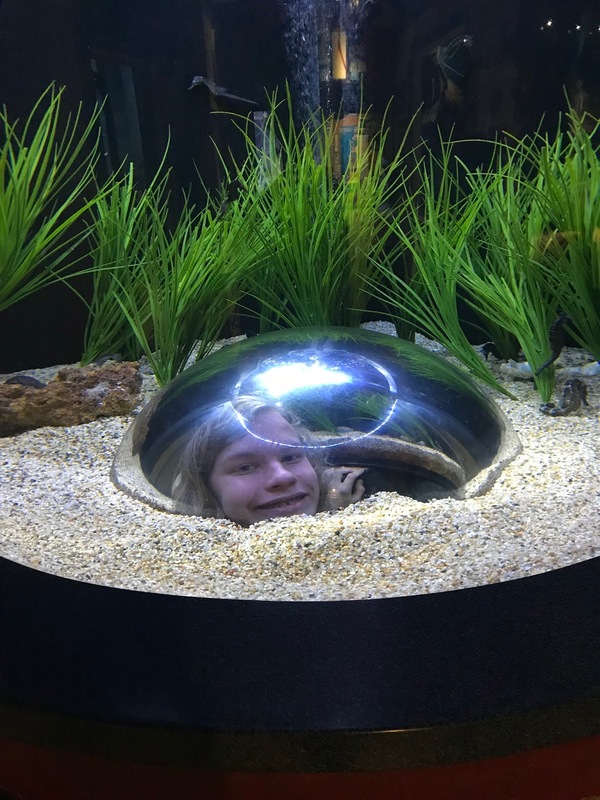 Aquariums are so fun! I love that yours has flamingos! The sharks and stingrays are particularly fascinating! I bet those photo ops were a blast. Looks liek so much fun for the whole family. IT is awesome to see animals in this way. You know what? I'm already in love with the aquarium! Especially when it comes to stopping by and saying hi to the sharks! That view is just majestic. And the flamingos look so cute! I wasn’t aware that they had an aquarium. I bet it is popular with the kids. Such a great experience! I've actually been when we lived in Texas too! I had such a fun time and I would definitely go back if we move down there again. I've never seen flamingos up close. This just reminded me of the time I got to touch stingrays at the Mandalay May Aquarium in Vegas - it was pretty cool. I love aquariums! they are always such wonders! i have not been one to ages! This one sure looks amazing! I've never been but Des is super impressed by the photo ops and the sharks! 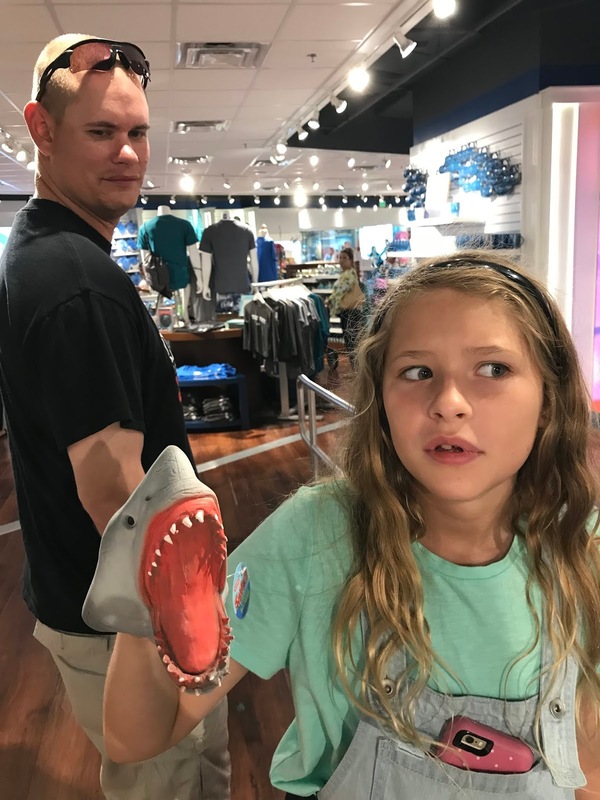 He has a real thing with sharks lately. 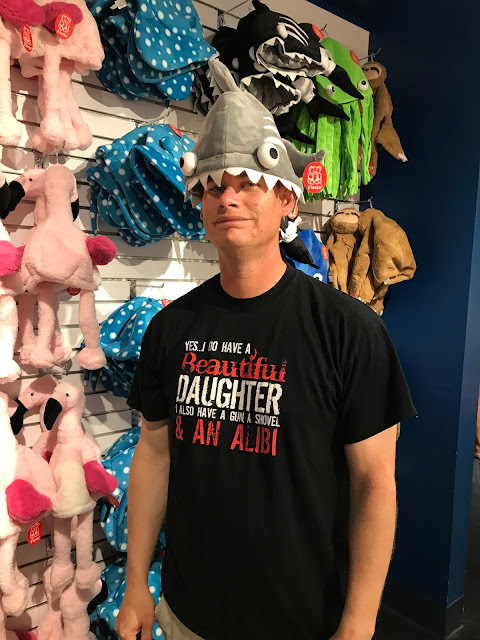 Awww my husband and I have always loved marine life and we always plan a visit to the aquarium of every city we travel to. This aquarium looks amazing! I would definitely check it out when visiting Texas. Looks like you guys had a blast during your visit. The aquarium had tons of awesome stuff to see and things to explore. This looks like an incredible experience and learning opportunity. We visit zoos and aquariums often and would love to see this aquarium. My brother lives in Texas so we'll have to add this to our list when we go to visit. That looks like a great aquarium...I've done a lot of traveling and still haven't been to one. I am hoping to go to the one in Atlanta next week. I'll have to check out the one in Texas too...Thanks for all the pics. I love flamingos! I love going to aquariums and this one looks awesome! I would love to visit this if I'm ever in this part of Texas. Seems like such a neat experience. We were all set to go to Corpus Christie this past december but we had to cancel our trip due to storms in the area. The aquarium was on our to see list. May be sometime soon. Touch a stingray OMG! That would be scary but fun! I'd love to have some photos done with the sharks for sure! Pinning this one! Aw the flamingos would of been my favorite part. I am glad your family had a fun time there!